This next selection has a few stories behind it. First of all, I loved the new Peter Bjorn and John album, Living Thing, even though it seemed to offend everyone wanting another "Young Folks." 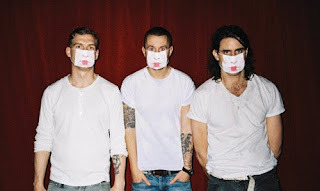 Secondly, this gives me a chance to acknowledge Miike Snow, another trio (of Swedish producers and an American singer), who have put out some great remixes, but whose own 2009 was just okay. Finally, this is a chance to point towards my favorite 2009 source for free music, especially remixes and up and coming indie bands: RCRDLBL.com.